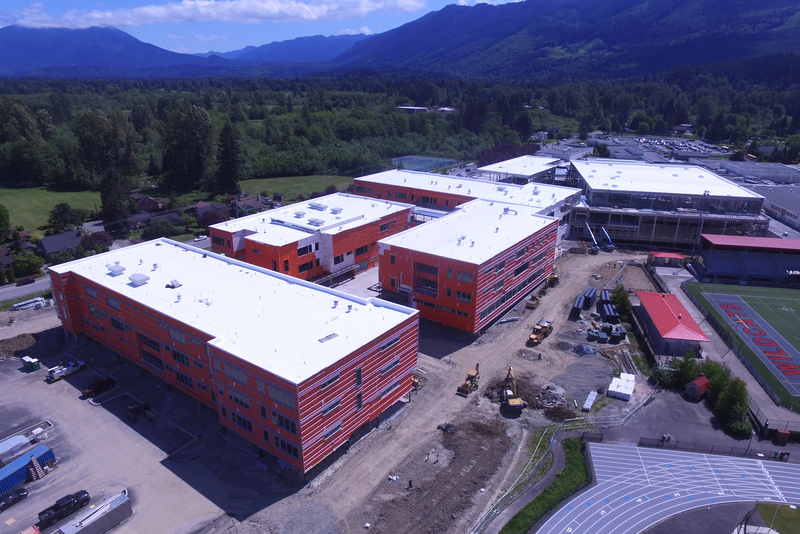 Snoqualmie Valley School District principals and administrators went on a special tour of the high school construction site June 20, during their last meeting of the 2017-18 school year. 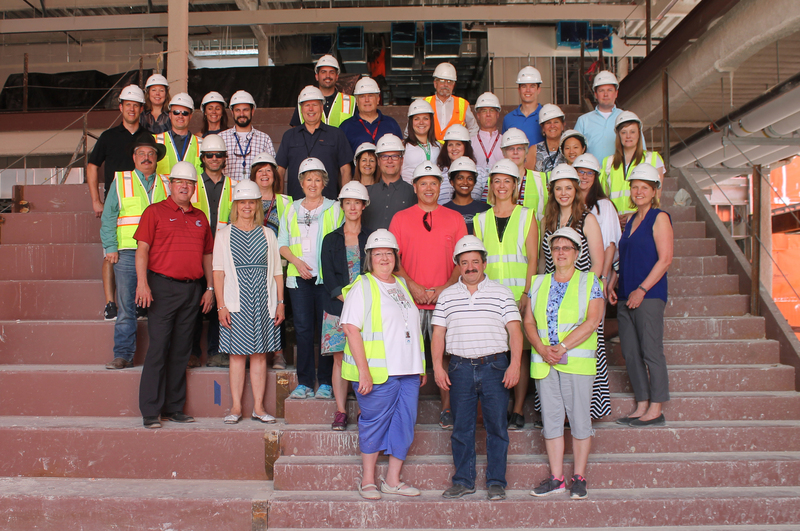 SVSD leaders enjoy a tour of the high school construction. 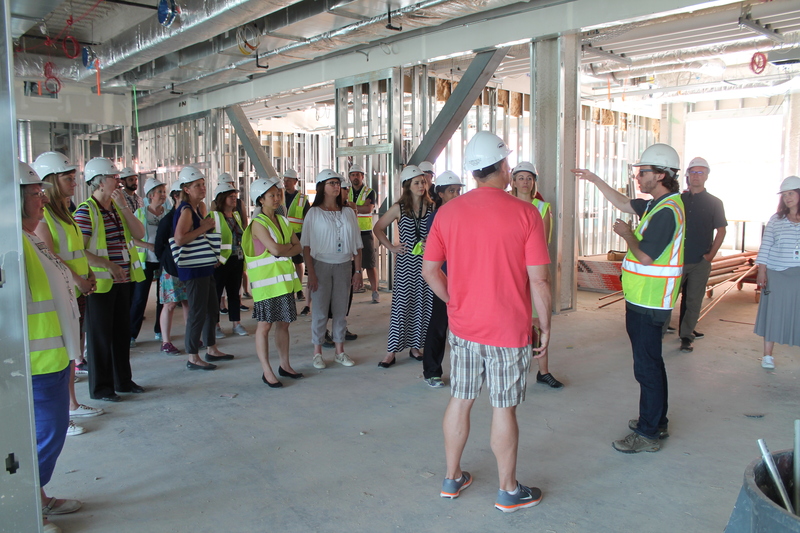 Above, they are passing where the new front entrance will be located, in Area D.
Architect Matt Rumbaugh, who led the tour, points out safety considerations in the design, such as the diagonal beams that help fortify the structure for earthquake safety (shown behind the group). 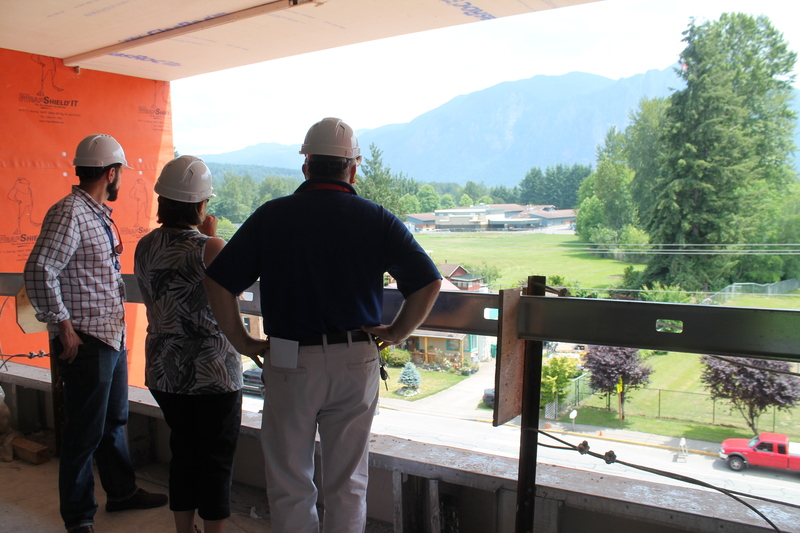 Looking out from a large window in Area B, there is a clear view of the new Snoqualmie Elementary School gymnasium in the distance. 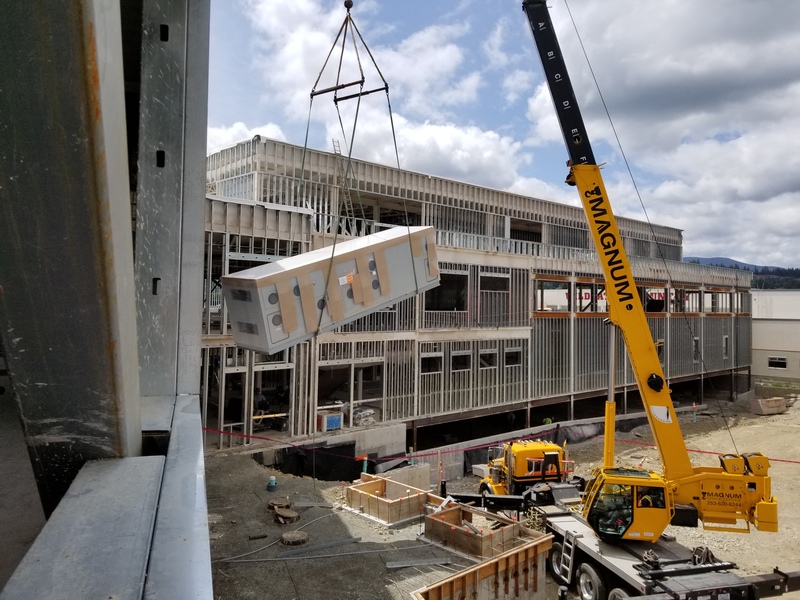 Ad Council poses on one of the steel stair cases that serves as a focal point for common areas where students will be able to meet and collaborate. 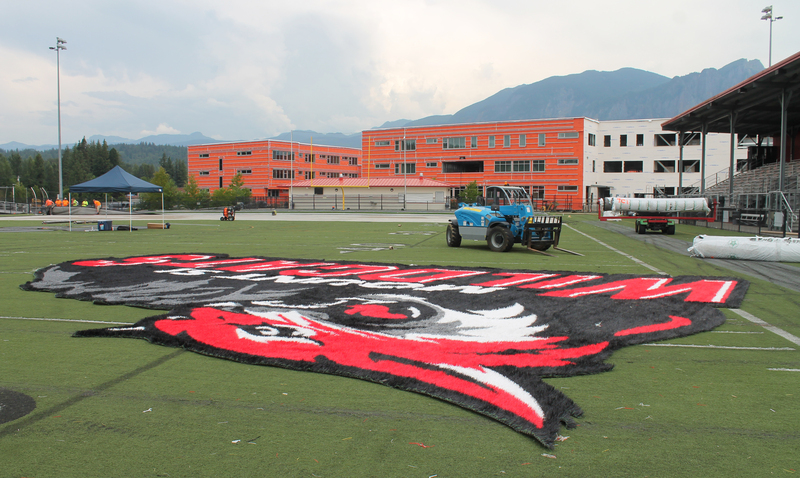 At the last assembly of the school year, Mount Si High School revealed the school's new wildcat logo to students and staff. The new image was the result of an online design contest last spring, in which students had opportunities to submit designs and provide input on their favorite logos. 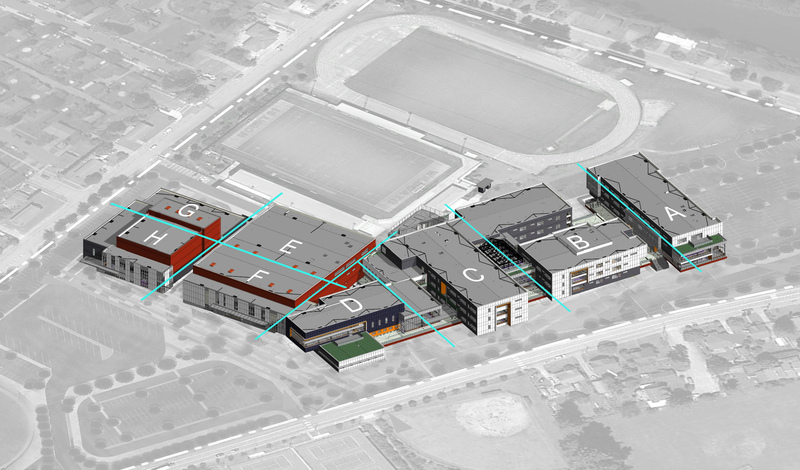 The new design will be incorporated throughout the new campus. For starters, work began this summer to replace the aging turf surface at the stadium. This fall, look for the bright new logo (at right) to be prominently displayed. June 15 2018 Status Report. 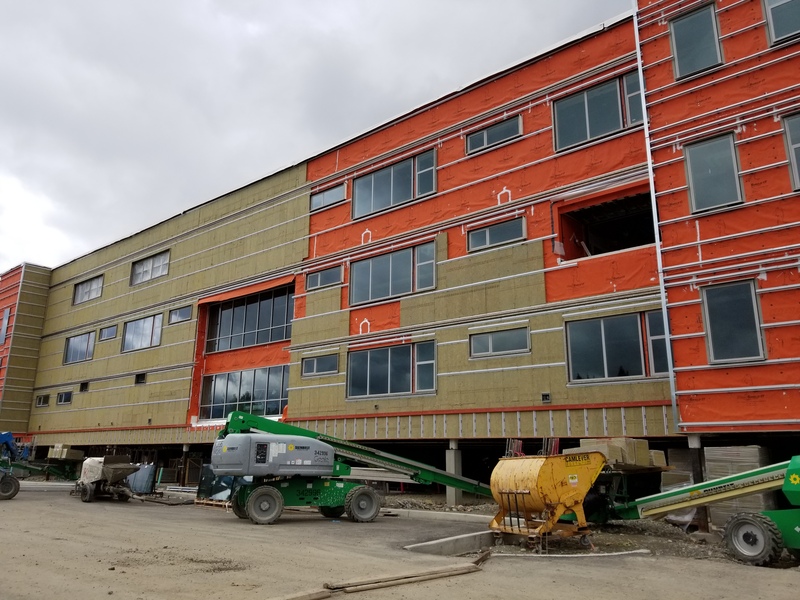 Exterior rain screen installation continues outside of Area A, while sheet rock installation and taping commences inside. For reference, see the sitemap below. 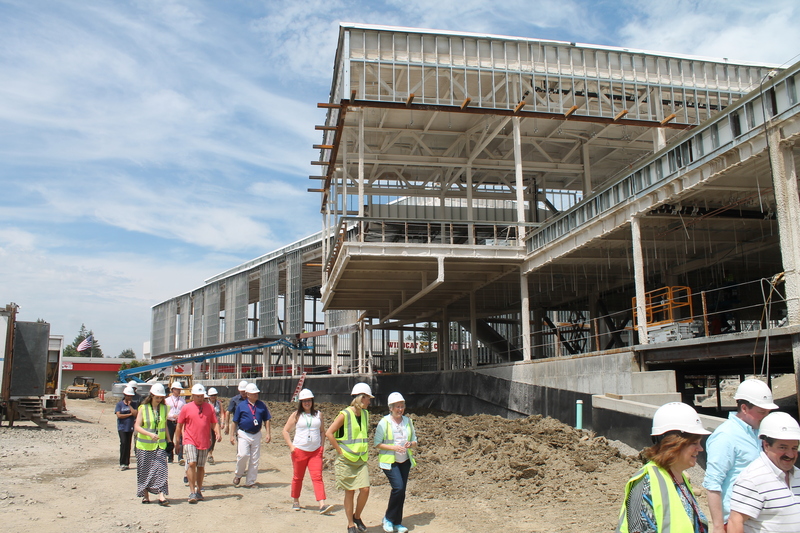 Areas A-F are currently under construction to serve students starting in the fall of 2019; Areas G-H represent the new Performing Arts Center, which will open in January 2021.